Crescent Moon - This picture shows the 4 day old crescent moon. The phases of the Moon are due to the rotation of the Moon around Earth, which takes approximately 29.5 days to complete. As the Moon rotates, it changes its position with respect to the Sun so that more or less of the lit-up part is visible from Earth. 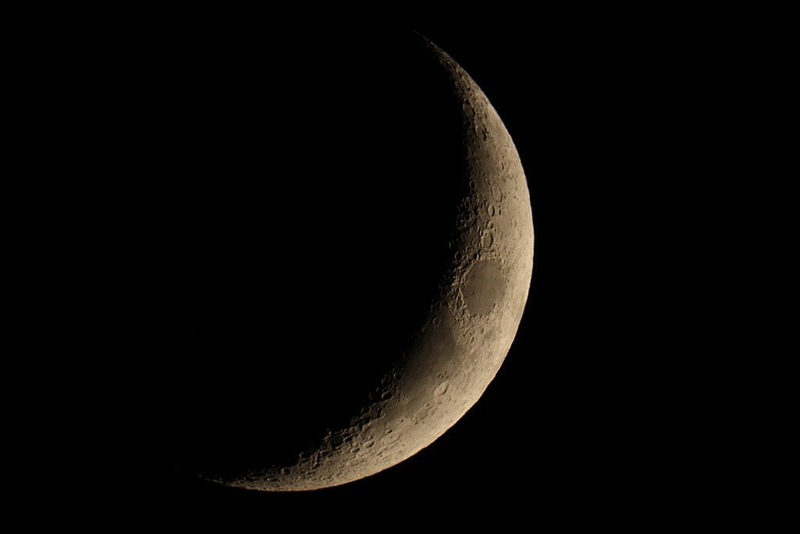 The crescent Moon will thus "grow" eventually reaching a quarter, gibbous, then full Moon when the entire side of the Moon facing Earth is illuminated by the Sun. The Moon's phase then regresses until none it is seen illuminated from Earth, or a new Moon.